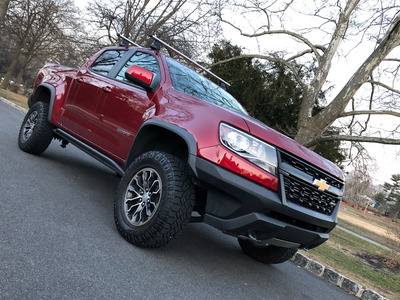 Matthew DeBord/BIThe Chevy Colorado ZR2 in all its glory. 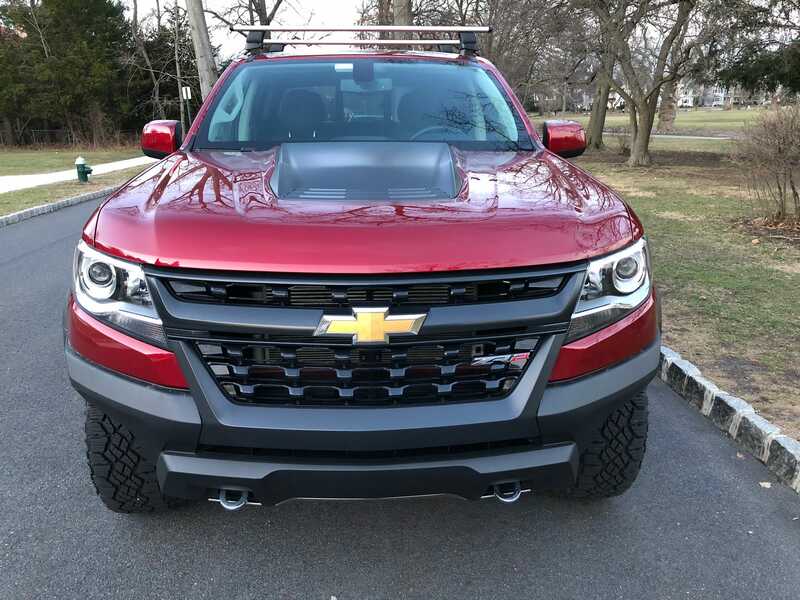 The 2018 Chevy Colorado ZR2 is a highly capable off-roader, with a robust 4WD system. But the Chevy Colorado pickup can still do everyday duty. For the price, you’re getting a lot of truck for the money. The Chevy Colorado has been a big hit, compelling Ford to revive its own Ranger pickup in the US. 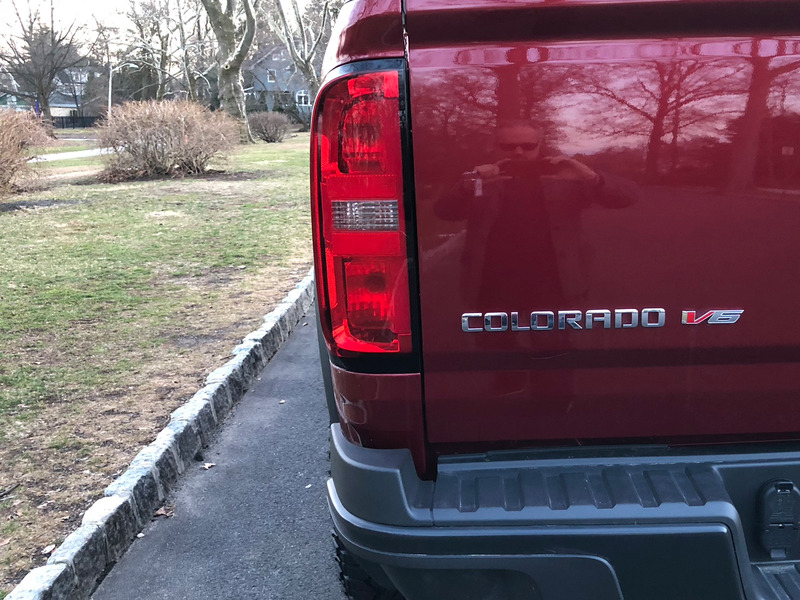 So in addition to a pickup-truck war among the big guys – the Ford F-150 full-size, along with the forthcoming all-new Chevy Silverado and the Ram 1500 – we have a skirmish shaping up in the smaller-pickup segment, between Chevy and Ford. 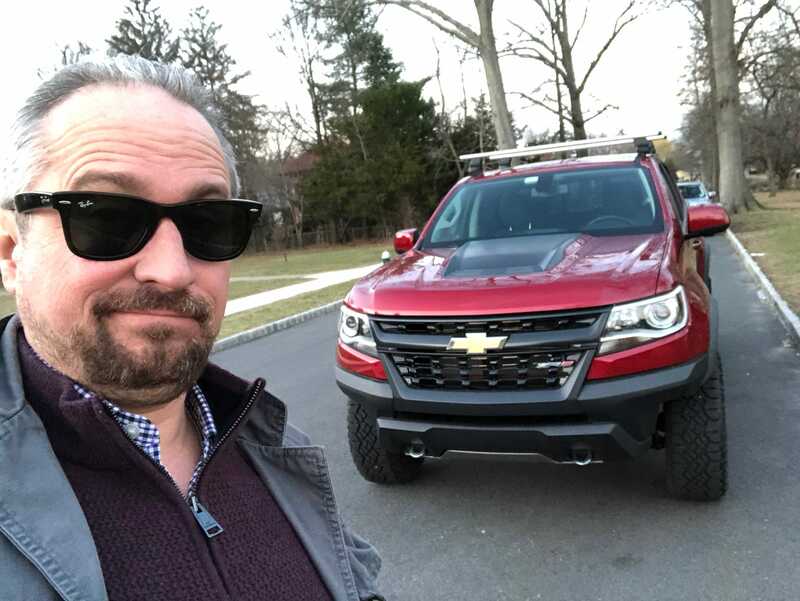 Our $US43,475 tester was well-equipped and ready for off-road action, but sadly I spent most of my time driving around suburban New Jersey. That’s a shame, as fans of the ZR2 know that it’s a capable rock-buster and really made to haul dirt bikes out the desert for dusty thrills. “Cajun Red Tintcoat!” What a great colour! I want all my cars to look like this in the future. Our ZR2 came with a crew cab and a “short box” bed. Some folks don’t much like short boxes, but I think for the uses that most owners would put the Colorado to, the short box is ideal. Home Depot runs, gardening, maybe some light brush-clearing and log-hauling duty – none would over stress the short box. I figure you could get two mountain bikes in there. Our tester also came with an installed roof rack for skis. 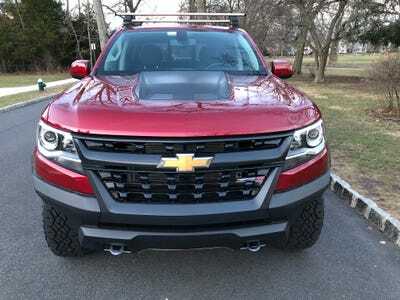 The Colorado ZR2 kind of blends aggression with sporty sleekness. Personally, I don’t think the various fascia elements — grille, badge, headlights — are in good balance. Ah, well. 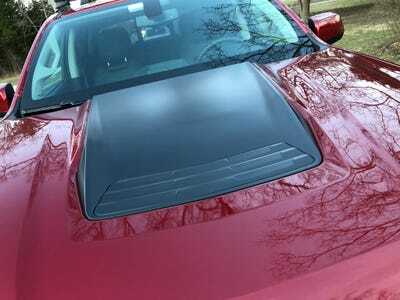 It’s a fake plastic hood scoop. Looks cool, does nothing. Colorado badging on the rear — and reminder that the ZR2 rocks a V6 engine, versus the base Colorado’s turbocharged four-cylinder. Stickers! OK, a little cheesy, but it’s to be expected on a truck like this, aimed at a youthful buyer. And to be sure, if there’s a bow tie on the front, there’s will be a bow tie out back. 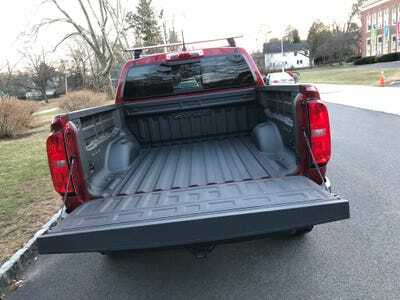 The short bed isn’t all that large by pickup standards, but it would easily handle all my needs. Plus, if you do use the ZR2 for off-road action, the more compact design helps with performance. The sprayed-on bedliner helps protect against bumps and scrapes. It’s also less likely to allow moisture between liner and bed, reducing corrosion. Some sweet knobby tires and 17-inch aluminium wheels. Bonus! 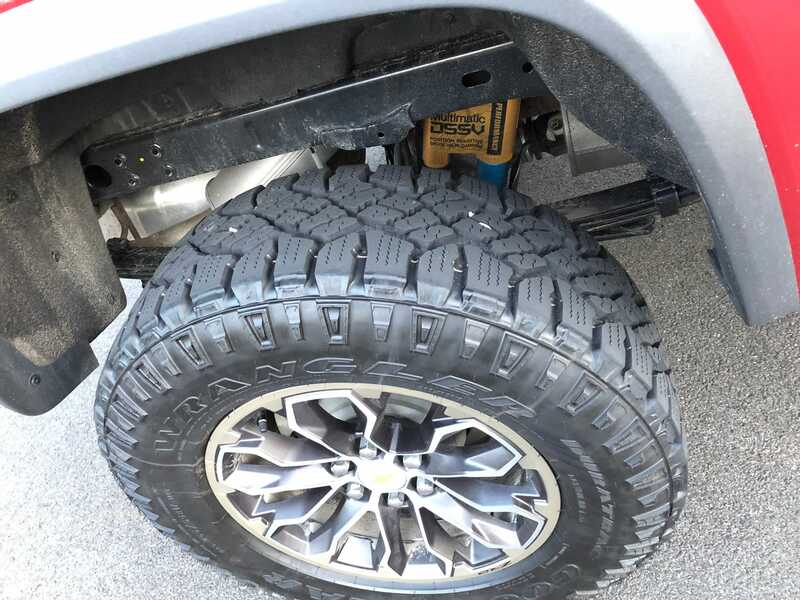 The ZR2 comes with a full-size spare slung under the rear bumper. The Colorado ZR2 is a proper, lifted, four-wheel drive upgrade. Still a pickup, however. Check out those leaf springs in the rear suspension. You have electronic locking differentials front and rear, so the Colorado ZR2 is ready for serious off-roading. The front underbelly and rear transfer case are also shielded, so rock-busting won’t cripple your pickup. 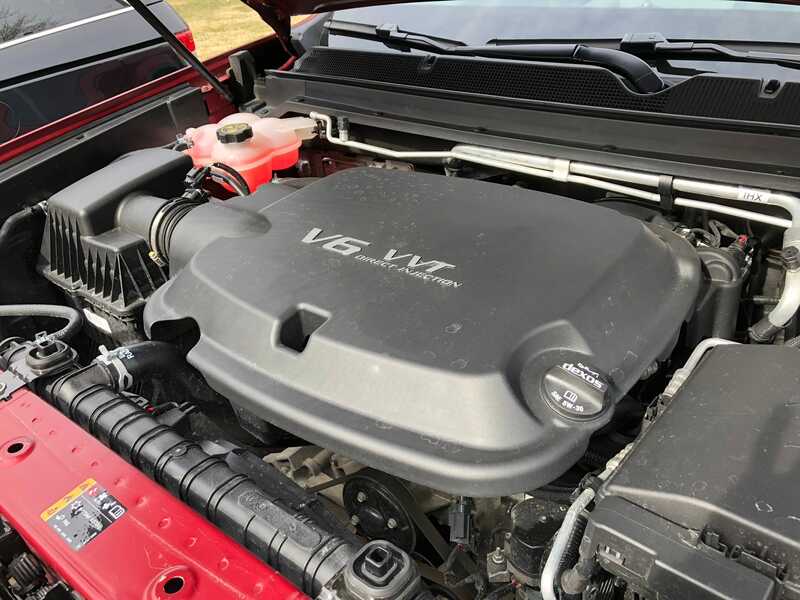 On paper, the 308-horsepower, 3.6 litre V6 could be construed as underpowered. But it was anything but in my hands. This pickup has nice pop. The ZR2 has been clocked at a respectable 0-60 mph in six seconds. The motor is smoothly responsive, with solid if not stunning torque. I’m a fan of naturally aspirated V6 engines that simply get the job done. The ZR2’s six-pot is a stout motor that not likely to give owners a lot of trouble. Fuel economy is meh: 16 mpg city/18 highway/17 combined. But you don’t buy a performance off-roading pickup to save on gas. Let’s check out the “Jet Black” interior. It’s a nice environment, near-premium without being luxurious. That’s by design. This isn’t a truck that’s meant to be babied, so the interior has to be able to endure some punishment. 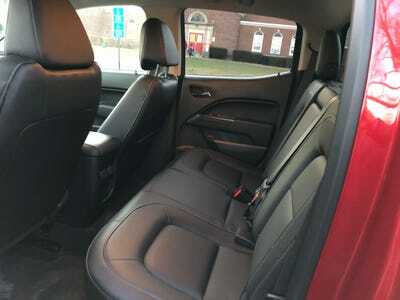 The back seats are a bench layout. The crew-cab setup is relatively roomy, but taller folks could find their knees bumping against the front seats. 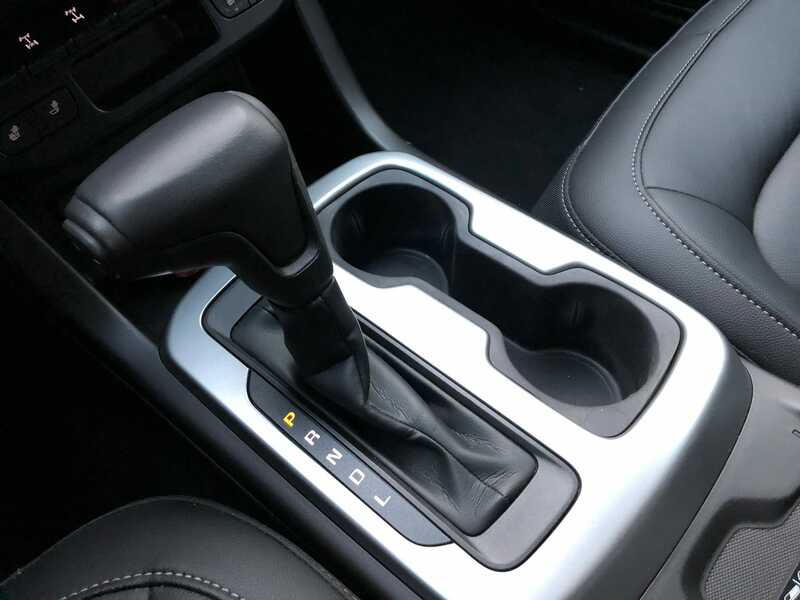 The ZR2 power is channeled to the 4WD system through an eight-speed automatic transmission. 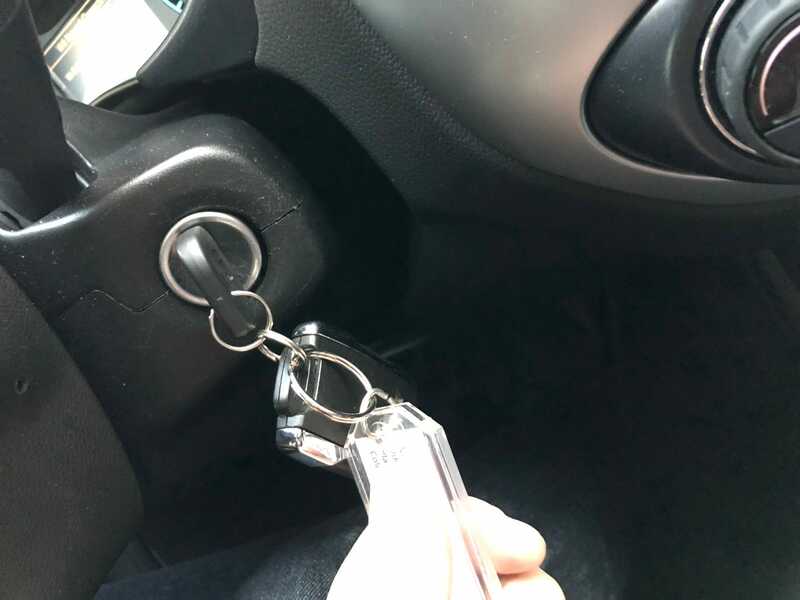 The shifting was smooth. The transmission isn’t tuned to race for the upper gears to save fuel, either. It holds in second through fifth to produce a sporty, powerful feel. The ZR2 can tow up to 5,000 lbs. 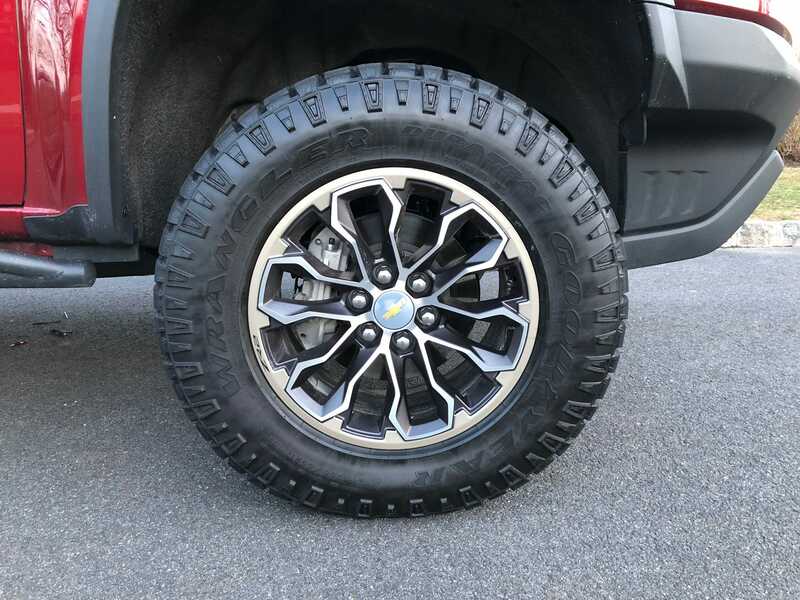 That’s not massive for a pickup, but the non-performance Colorado and ZR2 aren’t really intended for customers who will be hauling horse trailers. More likely, they will attach a small trailer to pull an ATV, some JetSkis, or a modest camper. How about this? An old-school ignition switch on the steering column. 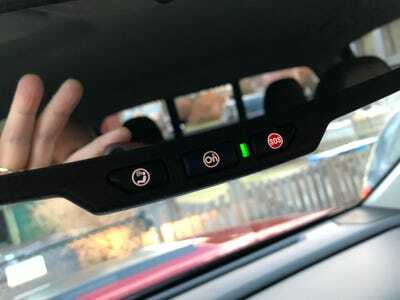 Most vehicles these days have push-button start. The driver gets a pretty typical Chevy setup as far as the steering wheel controls and gauges are concerned. There’s a small info screen between the speedometer and the tachometer. 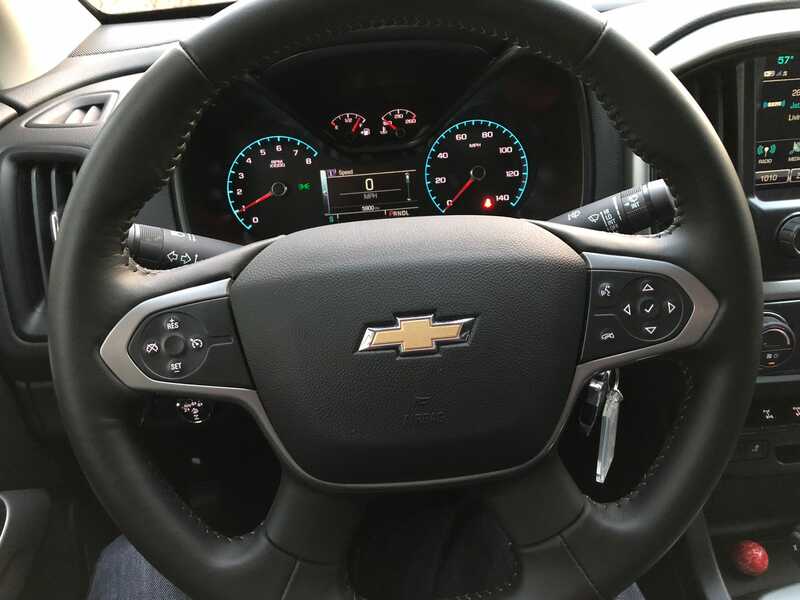 Beyond heated seats, cruise control, and nicely appointed leather-wrapped steering wheel, you don’t get a lot of driver-assist features with the ZR2. But an off-road warrior such as this doesn’t really need a suite technologies that would be more at home on the freeway. The eight-inch touchscreen runs Chevy’s Intellilink infotainment system. 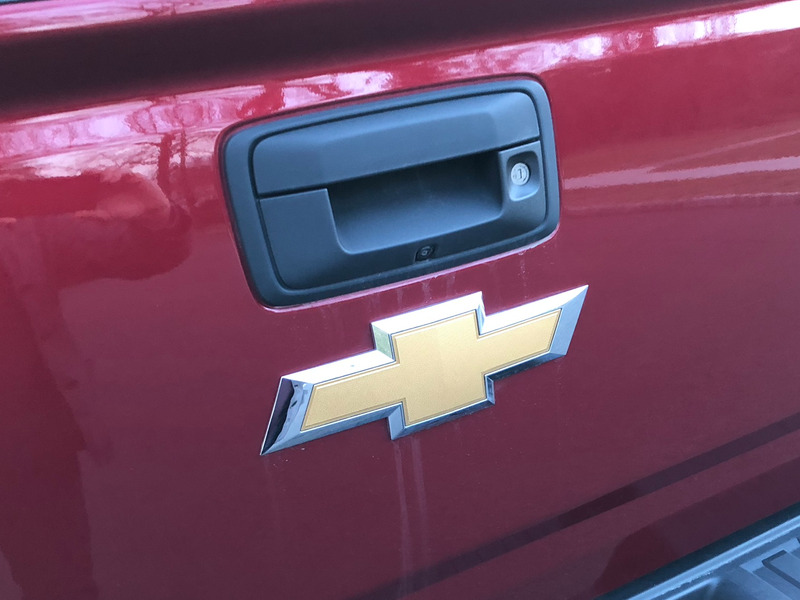 We’ve liked the system on all Chevys, and in the ZR2, it’s up to snuff, although the screen is fairly small. Bluetooth device pairing is a snap, and there are USB/AUX options for plugging in gadgets. 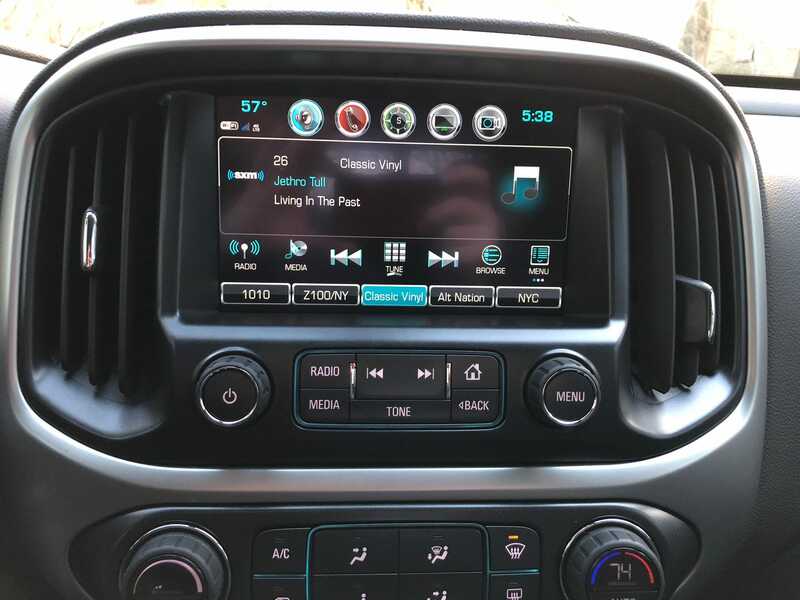 Like all GM vehicles, the Colorado ZR2 has 4G LTE wifi connectivity. Our tester didn’t have the Bose audio system that we’ve enjoyed in many other vehicles from the brand, but the more basic stereo still sounded pretty good when we fired up Classic Vinyl on SiriusXM. And of course, the ZR2 has OnStar, for safety and as a voice-operated alternative to infotainment GPS navigation. So what’s the verdict on this groovy little rock-buster? I wish I’d had a chance to bust some groovy rocks! 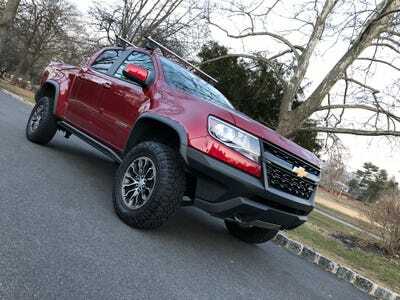 Also, the Colorado ZR2 isn’t so little. I owned a compact pickup back in the 1980s, and this reinventer of that segment has reinvented it to be notably larger. 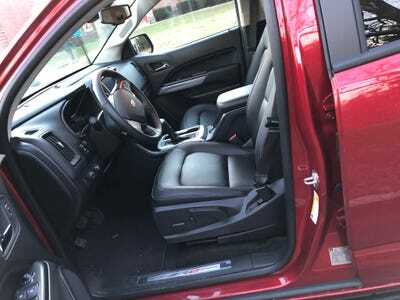 That means more room, of course, which makes the ZR2 – and for that matter, the Colorado itself – more versatile that my stripped-down Mazda B2200. Considerably more versatile. 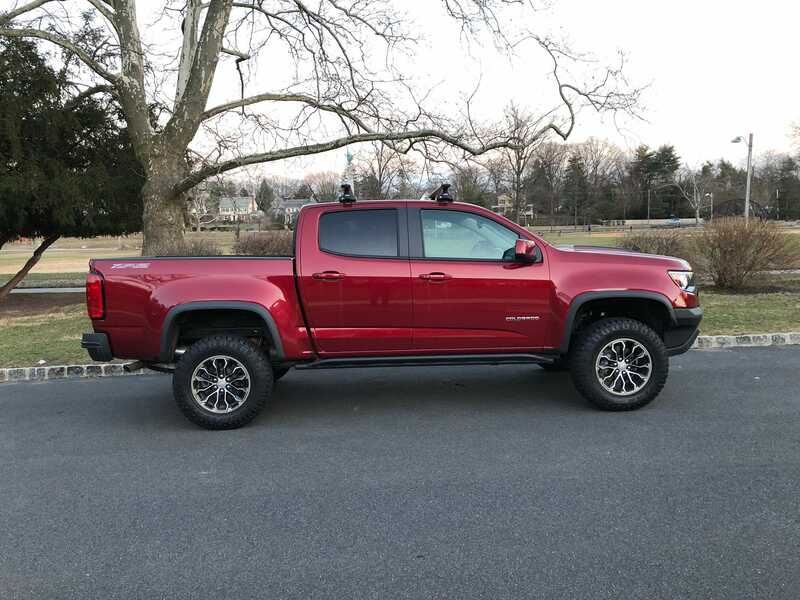 The Colorado is a good starter pickup, and the ZR2 is a good starter performance pickup. Compromises as you move from the former to the latter involve ride comfort, a jumpier engine, a jacked-up ride height that makes getting in and our tricky (running pipe step-ups are installed, but they’re small so as not to catch a lot of mud and dirt). However, the ZR2 was serviceable for my errands in the ‘burbs. 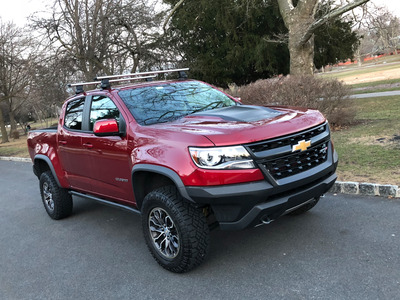 If I had my druthers, I’d get the non-ZR2 Colorado or maybe a Honda Ridgeline, as both would be easier to deal with day-to-day. But then I wouldn’t have the ZR2’s attitude and that stout 4WD system, should the chance to venture off the beaten track arrive. 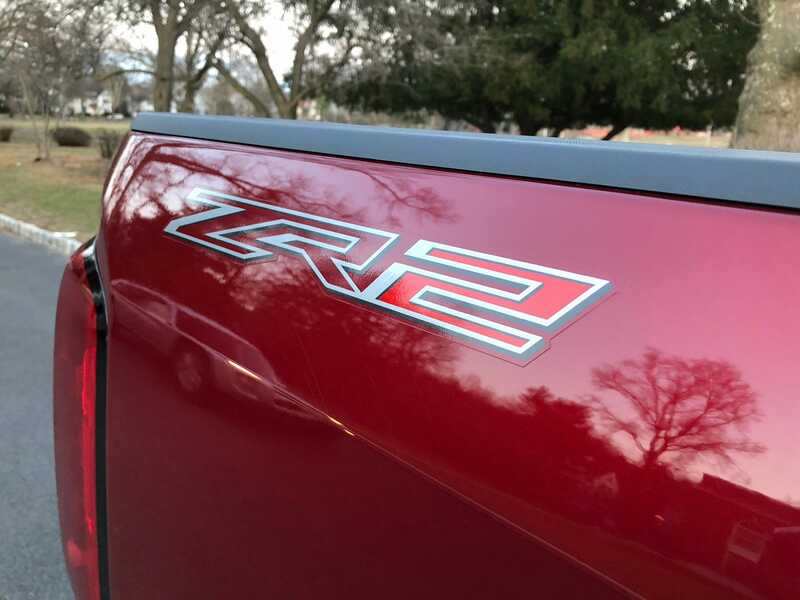 You can sort of think of the ZR2 as a less intense, junior-ized version of the Ford Raptor or the Chevy Silverado Z71. Not that it isn’t intense on its own. I think the smaller size and sportier demeanour would quite a lot of fun to take to the desert, maybe more so than bigger and far more powerful high-test pickups. And it’s a really great deal! From a price-to-value-ratio standpoint, you’re getting a lot of truck with the ZR2. If you lead an active, outdoorsy lifestyle, it’s definitely worth a look. It will be able to handle pretty much anything you can throw at it. The ZR2 has the potential to do it all. Sure, it’s going to better off-road than on. But it is plenty OK on-road for such as a capable machine. When you put it all together, it adds up to one of the best pickups I’ve ever driven.